Have you heard about setting up an Advent branch, or as it is more often called twigs of St. Barbara? It is a nice and interesting Advent custom from Central Europe. Der Barbarazweig - Barbara’s twig is considered a folk Roman Catholic custom, but its roots are definitely pre-Christian and might go back to ancient Celts or Germans. The custom is simple and lovely. 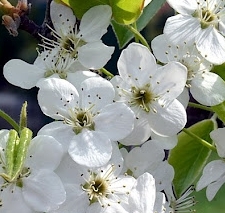 A twig of cherry or any other early blooming bush or tree is cut on (or around) December 4th, the St. Barbara holiday. It is taken home and there it is forced (this is an ugly English technical term for accelerating growth, other languages use nicer allusions). With a bit of care and some luck, Barbara’s twig will bloom nicely ad profusely on Christmas Day. Just imagine how it must felt centuries ago, before any commercial florists and imported cut flowers! It must have been spectacular. Strangely, I like this custom in our urban megacity setting even better. I like this idea of taking care of a barren twig in a vase and caring it into bloom. It is a new, different, hopeful, and nature-oriented spiritual discipline for Advent. When it is successful, cherry blossoms bring a sign of bright new life to the middle of the bleak and dark city winter. We (especially we Calvinist Protestants) divorced our religion and faith from nature. 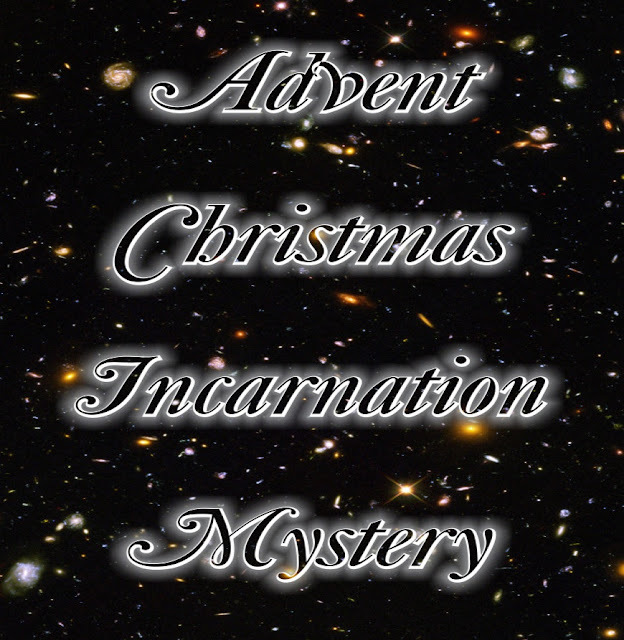 This old Advent custom marvelously reconnects faith, religion, spirituality, world and nature in a hopeful and harmonious manner. The lectionary reading from the Gospel of Luke is leading us in a similar direction. This Sunday we will hear another part of what is being called the Synoptical apocalypse. It speaks about natural, political, military and cosmic disasters and catastrophes of the end of time. Fundamentalists just love this stuff, they like to frighten people into obedience. But not so Jesus! Towards the end, this long darksome discourse takes a surprising turn. We hear a parable of the Barbarazweig, or more precisely its Near Eastern equivalent, a budding reminder of promised hope. Come this Sunday to celebrate new hopeful eco-justice eschatology; join us in celebrating Environmental Advent. P.P.S. A divine judgement (a divination practice - Ordal) by blooming of the Aaron's rod as narrated in Numeri 17 is quite an interesting phenomenological parallel. Immanu-el, Immanuel or Emmanuel means “God with us”. But who was the original “God-with-us” of the Isaiah prophecy? No one really knows. The Prophecy was most likely directed to Jerusalem’s King Ahaz. The sign was to be the conception and birth of a royal baby to a young noblewoman (this is the exact meaning of this word (g'almah/t) in old Semitic languages, not a virgin but a young noblewoman). Who was this young noblewoman and who was this baby boy? She was probably one of the king’s wives and the boy was his son; some point to Ahaz’ son and successor king Hezekiah, but it is not certain; only a few names of queens and very few names of their children survived. Their original identities remain a mystery. But we can know other things with greater certainty. Isaiah himself had already quoted and combined several older religious formulas. The pre-biblical myth from Ugarit (KTU 1.24.8) used the identical childbearing phrase of hope: “a noblewoman will bear a son...” Biblical legendary stories record a similar hope-inspiring name-giving angelic prophetic instructions: “You will have a son and will call his name....” (Gen 16:11). All these ancient archetypal references point towards a powerful message of hope in the birth of a child. Why would the birth of a mythical baby, a royal baby, Mary’s baby, or any baby, mean that God is with us? It remains a central mystery of incarnate divine love. Indeed, not the divinity of Christ, but the humanity of God has been one of the deepest mysteries of divine love. How and why is God coming in the form of babies? How does it transform our view of the world? Why is God bringing help and hope by becoming one of/with us? What does it mean, that God is human? What does it mean for our ethics, for our personal, social and political behavior? But even further, why is the creator becoming creation? What does it mean to eliminate this important conceptual distinction? What does it mean for our relationship towards creation, other creatures, and the natural world? Isn’t it possible that by asking these questions our perspectives and our lives are already being transformed and hope is being born and reborn? Would you ever think about threading a sewing needle “with a camel? What a silly idea? What a strange image? Why even bother thinking about it? Well, because Jesus said: “It is easier for a camel to go through the eye of a needle than for a rich person to enter the Kingdom of God!” (Mark 10:25; Matthew 19:24; Luke 18:25) I count this pronouncement among few other “Ipsisisma verba Iesu” (The very words of Jesus). The Early church tradition would hardly created such an outlandish statement and assign it to Jesus. This saying originated with Jesus and became a proverbial expression of impossibility. And from the earliest times people were perplexed and challenged by this idea and were coming with different and diverse theories and solutions about how to explain and rationalize and normalize this statement (often with inferior motives to justify and exonerate the rich). But this statement is not rational; it is a marvelous poetic hyperbole. And similar to any other poetry it is loaded with deep meaning. It follows different, non-rational, poetic, intuitive logic. This Sunday we will be challenged and encouraged by this outlandish poetical message. Now, a tangential thought. This hyperbolic saying is interesting for its other feature which is hardly ever noticed. It is about sewing. In traditional pre-industrial societies sewing was a domestic activity of women. For the world which was highly structured and divided by gender roles, this is truly surprising. Jesus paid curious and empathic attention to the world of women. For instance the Talmud does it also, but here, with Jesus, it is different! A female domestic world is lifted up or the Kingdom of God is lowered down to match each other. Our saying couples closely the Kingdom of God with sewing needles. And an other parable does it with housewife making bread, another time the Kingdom of God is being compared to sweeping and housecleaning, just imagine! This is not just a coincidence, this is an interesting repeating pattern. Jesus compares the great theme of the rule of God with household chores. Firstly it questions and undermines stiff gender roles and divisions in the society. Secondly it brings forward revolutionary new theology. It presents new ways of talking and thinking about God. It introduces a new and different kind of divinity, not with a sword but with a needle, not with a spear but a broom, not destroying and torching the disobedient, but kneading and baking bread for the hungry. Indeed, with God everything is possible, if only people paid attention! 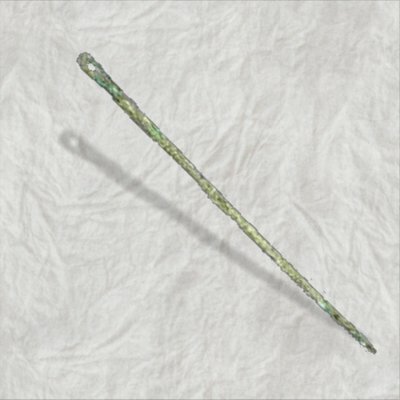 Bronze sewing needle from Hellenistic period.